The all-new Tight Lies features fifth generation of award-winning slot technology. The new Ghost Slot Technology is a crown slot that is nearly invisible, and features a refined "barbell" cut-thru slot, which when coupled with our tri-sole and low-profile design, makes it easier than ever to launch it high from the fairway, the rough, tight lies or even a fairway bunker. All testers agreed on a compact looking head with nice face alignment. Classic upside-down Tight Lies design oozes class at address. Low profile sits superbly to the ball, everything is just set up for take off. Ghost Slot Technology is hidden and that was much more pleasing than the profound Velocity Slot previously for three of the four testers. No glare out in the sun, too. Classy. Very clean ball striking for all four testers. Ball nips nicely off the turf as there is superb turf interaction on offer. Pure sound on centre strikes. Standard Kuro Kage shaft felt well balanced for three testers. A very forgiving fairway wood. Long but nothing out of this world. Not as consistent as some of the others in terms of carry yardage. Mis-hits go relatively straight. Low profile, upside-down design creates a large impact area low in the face for a desired mid-high trajectory. Verdict Easy to hit and great value for money. Decent distance but not as long as some of the others. You can't miss the sweetspot with the classic upside-down Tight Lies shape and low profile design ensuring a large impact area low on the face. With a low CG on board, you get a terrific high launch - essential for owning the second shot. 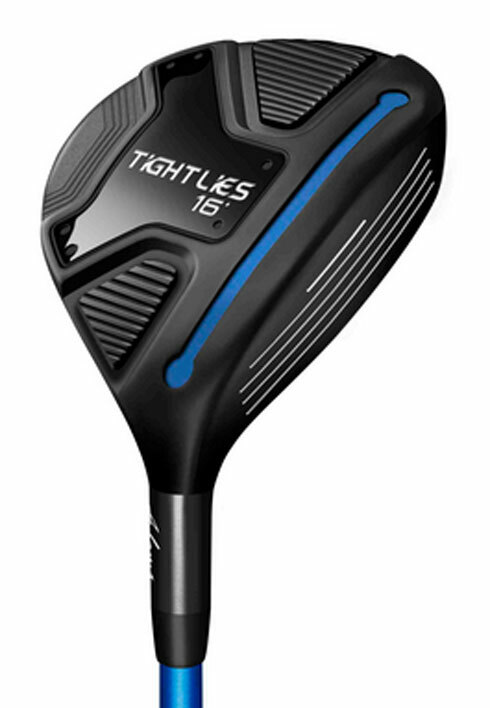 Click this link to see how the Tight Lies FW performed in our 2014 Fairway Woods Test.